Zinnias provide butterflies like this Eastern Black Swallowtail (Papilio polyxenes) a place to perch. Flying Flowers and Jewels of the Sky are just a couple of phrases that describe the beauty and fascination people have for butterflies. Though only one group of pollinators among many, they are often the most visible due to their eye-catching displays of color. With habitat loss and land fragmentation (patchiness) on the rise, adding butterfly gardens to the landscape is a vital ecological service in support of pollinator populations. By following a few simple steps, the garden can attract these flying beauties and many other pollinators. Knowledge of simple butterfly biology will help in the development of a successful butterfly habitat. Butterflies visit habitats to satisfy food, water, and shelter requirements for all stages of their life cycle. Butterflies undergo complete metamorphosis. This means that they develop through four distinct stages to complete their lifecycle. Each life stage differs from the prior in its needs and appearance. The four stages consist of the egg, larva, pupa, and adult. The egg begins the developmental process. The female’s placement of her eggs is essential to the survival of the larval, or caterpillar, phase. The hungry caterpillar grows in size as it consumes its larval food source and develops into the pupal, or chrysalis, stage. Some butterflies and most moths spin a cocoon made of silk material around the chrysalis. The pupal stage marks a period of radical transformation for the butterfly. As the adult butterfly emerges, it has transformed from a soft-bodied caterpillar into an adult with wings and a hard exoskeleton. Male and female butterflies mate to produce offspring (eggs). Eastern Black Swallowtail butterflies (Papilio polyxenes) pictured. Butterfly eggs will develop into larvae (caterpillars). Eastern Black Swallowtail (Papilio polyxenes) butterfly eggs pictured. Caterpillars increase their size by feeding on plant foliage. Eastern Black Swallowtail (Papilio polyxenes) butterfly larva pictured. After completing the caterpillar stage, the process of becoming a winged butterfly begins. Eastern Black Swallowtail (Papilio polyxenes) butterfly pre-pupa pictured. Many butterflies form a cocoon like structure. Eastern Black Swallowtail (Papilio polyxenes) butterfly pupa (chrysalis) pictured. Once butterflies emerge from their cocoons fully developed, they begin the search for a mate to complete the life cycle. Eastern Black Swallowtail (Papilio polyxenes) butterfly adult pictured. Tight-clustered flowers provide multiple nectar sources, greater nectar reward per distanced travelled, and less energy expenditure for butterflies like the Cabbage White (Pieris rapae). Adult butterflies primarily search for food in the form of sugary nectar, but also obtain other nutrients, such as amino acids, from decaying plant or animal material. Nectar is produced by specialized floral parts called nectaries that are a part of a plant’s flower. This sweet, high-energy liquid is easily lapped up by the butterfly’s proboscis (tongue). For more information on the butterfly proboscis, refer to Butterfly Project. Because flowers are the primary nectar source for butterflies, it makes sense that flower color and shape play an important role in attracting butterflies to a specific plant. Butterflies use the visible spectrum for color vision just as humans do; however, they are highly sensitive to ultraviolet (UV), violet, blue, green, and red wavelengths. Behaviorally, many native butterflies prefer plants that have pink, red, purple, yellow, or orange flowers. Studies reveal that many flowers have UV guides on the petals to direct butterflies to the nectar sources. Butterflies generally visit areas with large masses of a single flower color or closely related colors, rather than habitats containing several mixed colors. Large flower petals provide landing platforms for butterflies and allow access to center clustered nectar flowers. Male Eastern Tiger Swallowtail (Papilio glaucus) pictured. Most butterflies must land on a flower in order to obtain nectar. This behavior indicates preference towards plants with either clusters of short tubular flowers or ones with large flat petals. In South Carolina, butterflies are active from early spring until late fall frost. Having a mixture of plants that favors color constancy and flower throughout the insect’s active period, will attract butterflies all season long. 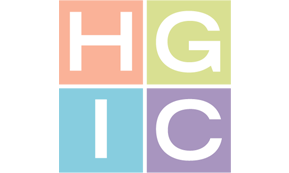 HGIC 1727, Pollinator Gardening provides a listing of native trees, shrubs, vines, perennials, and warm season grasses for attracting pollinators. Although adult butterflies obtain most of their nutrients from floral nectar, their caterpillars need to consume the foliage of certain plant species to complete development. These plants provide shelter while eggs hatch and through critical growth stages of the caterpillar. Tiny caterpillars are unable to travel large distances in search of their own food; therefore, the female butterfly locates and lays her eggs on a specific type of host plant. This makes it easier for the caterpillar to feed immediately after hatching. Leafy portions of host plants do incur damage from feeding caterpillars. Host plants tend to show varying degrees of defoliation as caterpillars feed, but generally are able to survive. For many species of caterpillars, this close tie to a particular plant represents a highly coevolved relationship. If the female butterfly does not deposit her egg on the correct larval host plant, the young caterpillar may not survive. Many native trees, shrubs, and flowering plants found in and around home landscapes are host plants for caterpillars. Incorporate specific host plants into a butterfly garden to increase both the survival of immature caterpillars and the number of adult butterflies. Defoliation caused by caterpillars may appear unsightly to some, but should be expected and appreciated by the butterfly gardener. By locating larval host plants in areas that are less visible or in separate garden areas that are a short distance from nectar plants can help minimize the appearance of damage. If fewer host plants are available, it is likely that there will be fewer butterflies. The table below lists preferred larval host plants and nectar resources for 21 of the most common butterflies found across South Carolina. Plants in the Pea Family (Fabaceae): Cassia spp. Selection of the 21 most common butterfly species listed was compiled from a database of sight records for South Carolina dating back to 2000 (Brian Scholtens, Professor, Department of Biology, College of Charleston and Dr. Dennis Forsythe, Emeritus Professor, The Citadel). Butterfly species are listed in order of abundance. LayLa Burgess, Clemson Extension, added preferred host plants and nectar sources. Note: Host plants and nectar sources listed are those preferred by each butterfly species; however, most butterflies will use a variety of plants when available and necessary. Butterflies gain water when consuming nectar from flowers and absorbing nutrients from decaying matter. However, having a clean water source within the butterfly garden ensures water availability. Just remember, most flying insects do not swim. If a containerized water source, such as a shallow birdbath, is provided, be sure to place rocks or sticks in the water to serve as landing platforms. Place a shallow pan or dish flush into the soil, preferably in an open area. Fill the pan with moist, coarse sand. Locate puddling places under a soaker hose or near a drip emitter, as this works well to keep the sand constantly moist. Option: add salt to the damp course sand at a rate of ½ to ¾ cup of table salt or rock salt to 1 gallon of sand, mix well, and moisten. A group of Eastern Tailed-Blue butterflies (Cupido comyntas) exhibiting puddling behavior. Butterflies love the sun. On cool mornings, butterflies need to warm their bodies before becoming active. To do this, they often sit on a reflective surface, such as a flat stone, spread their wings, and turn their backs to the sun. Butterfly wings work like solar panels to absorb the sun’s heat. The captured heat raises the muscle temperature high enough to allow flight. Both butterflies and their associated plants thrive in bright sunny areas. In planning a garden design, look for areas that have at least 6 hours of sun each day. South Carolina summers can be long, hot, and dry regardless of the region. Sections of landscape with morning to mid-afternoon sun and dappled afternoon shade provide adequate sunlight, as well as a heat buffer. Areas that offer protection from high winds and predators will ensure safe harbor as well. If the garden space is limited, consider a design composed of smaller nonadjacent garden plots across the landscape. Plant selection and outdoor décor easily unifies the individual plantings. Annual and perennial plants predominately provide nectar, but many serve as larval host plants as well. In addition to these herbaceous plants, various shrubs and trees in the landscape are prime host plants and need to remain healthy. Beyond sunlight, host plants need healthy soil, proper fertilization, and sufficient water to grow successfully. 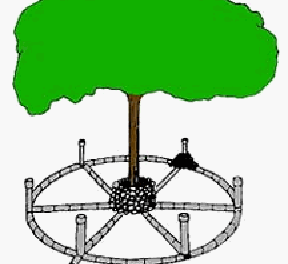 A soil test is the best way to determine soil pH and fertilization needs of plants. For more information on soil testing, see HGIC 1652, Soil Testing. 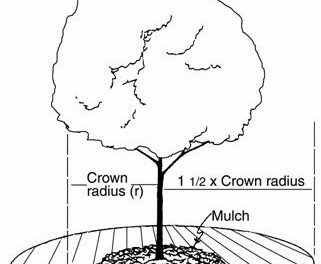 If properly sampled, soil reports can provide recommendations for optimum growth of annuals, perennials, shrubs, and trees. Installation of an irrigation system or placing the garden in proximity to a water source are other considerations to plan for in a habitat design. Employing these cultural techniques to keep nectar and host plants healthy will reduce the need for pesticides in the garden. Butterflies do not solely consume nectar. There are particular butterflies that rarely feed on nectar, but prefer rotten fruit or manure instead. Adding a few extra items to the garden will entice these butterflies to visit. The best fruits to use are those that are either soft (banana) or moist (watermelon). Small amounts of fresh manure stationed in puddling places can easily attract butterflies as well. If there are children in the home, place these materials in a protected area. Fruits and manure can attract wasps as well as butterflies. Butterflies and caterpillars are insects, and the use of insecticides may kill many of them. Choosing the right plant for the right place in the butterfly garden will go a long way towards reduced pesticide use. However, beneficial insects are a useful biological control tool against many pest insects. If an insect pest problem develops in the butterfly garden, allow beneficials to do their job. Beneficial insects such as ladybugs and lacewings are a good first line of defense. Beneficial insects are often already present in the garden, but their numbers may be low. Providing host plants for beneficials to reproduce on can encourage a buildup in higher numbers of “good” insects for predation on pest insects. Simple monitoring activities provide insight into numbers and types of beneficial insects visiting a habitat. Identification guides will aid in determining what kind of beneficials are present, as well as identifying pollinator species. Insect identification will help determine host plants needed, in order to encourage beneficials. In some cases, butterflies and beneficial insects share common host plants. Beneficials such as praying mantids, parasitic wasps, assassin bugs, predatory stinkbugs, robber flies, and spiders often consume butterfly eggs. Low levels of these beneficial insects are preferred in the butterfly garden. They are more suited to the home vegetable garden for control of damage caused by plant feeding pest insects. Broad-scale application of insecticides is much more harmful than spot treatments. Monitor the garden for early infestations and handpick pests before populations build. If pests, such as aphids, whiteflies, mealy bugs, or spider mites, become a serious problem, apply insecticidal soaps or horticultural oils to localized areas of the effected plants. These spot treatments help target the pest insect and minimize effects to butterflies, caterpillars, and other beneficials. For more information on least toxic pesticide use, see HGIC 2770, Less Toxic Insecticides. Although it is nice to have butterflies and caterpillars in the garden, it is even better to know the species that visit particular flowers.